Malga-Ciapela/Marmolada, in the Veneto area of Italy, is a medium sized ski resort with 6 ski lifts that offers skiers an incredible 1820 metres (5972 feet) of vertical descent. 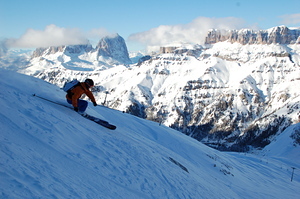 The panorama of the Dolomites, seen from the very top of the cable car, is enjoyed by skiers and non-skiers alike. 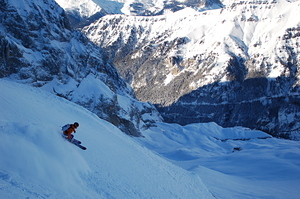 Malga-Ciapela/Marmolada has 20 kilometers (12 miles) of pistes. 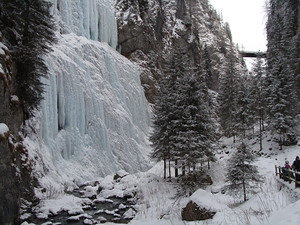 There are many cross country ski trails in the area around Malga-Ciapela/Marmolada. Marmolda is the largest mountain in the Dolomites and the view from the top lift station (Punta Rocca) has got to be one of the most spectacular views in the Alps. The Dolomites span out beneath you and you can see the Austrian Alps in the distance. There are, effectively, only two pistes in Malga Ciapela and each one is very long but, in my opinion, Malga Ciapela/Marmolada is not really about piste skiing. Sure, you have direct access to the dolomitisuperski lift pass which offer more piste skiing than any other lift pass in the world but Marmolada is about freeride! 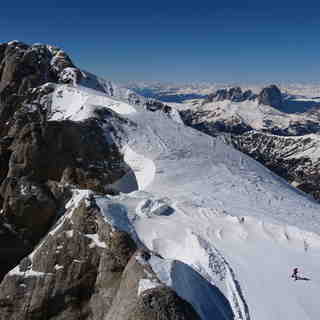 Off-piste skiing is as good as anywhere else in Europe. A wide, open, treeless mountain with umpteen possibilities of decent between the two massive outcrops of rock which have been named 11 and 12!? 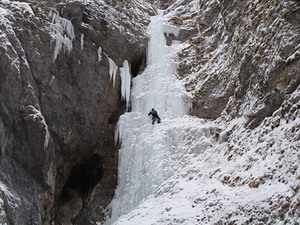 Marmolda is a freeride paradise where every decent arrives at the lake which was filmed in the new version of the classic movie, the Italian Job. I shouldn't really write such a glowing report about this wonderful and majestic mountain because up until now it's relatively unknown and few people ride the powder that often settles on the slopes of the queen of the Dolomites. Go and visit Chamonix or St Anton and leave untouched snow for me. Please!